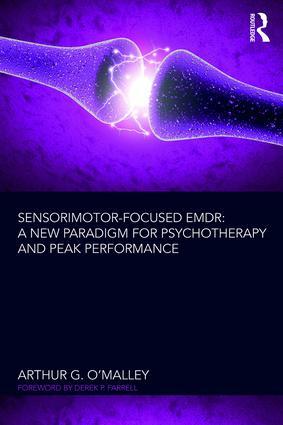 Sensorimotor-Focused EMDR combines two hugely influential and effective therapies, EMDR therapy and sensorimotor psychotherapy, to provide a new approach. In doing so, the book supports the widely held view of psychotherapists that in trauma the primary store of neurological information is somatic rather than cognitive. Many therapists trained in EMDR find that additional resources are needed for patients who present with symptoms of complex trauma and dissociation. This is because EMDR is primarily a top-down approach based on CBT, with the addition of bilateral stimulation (BLS) in visual, tactile and auditory modalities. By contrast, Sensorimotor-Focused EMDR takes a body-based and bottom-up approach that seeks to resolve trauma by reprocessing information at multiple levels – in the gut-brain, the heart-brain and the head-brain, as well as in the endocrine, immune and nervous systems. Fully revised since The Art of BART (2015), the book looks at the latest advances in neuroscience, including research into the effectiveness of psychotherapy and the mysteries of consciousness and the development of mind. It also looks at the role of newly discovered organs, the mesentery and the interstitium, and provides clear anatomical evidence for the communication of biophotons in energy channels known as the primo vascular system. SF-EMDR is the only therapy that fully integrates Western theories of affective neuroscience with Eastern observations on activation of chakras, pranas and energies, and in doing so it offers strong potential for enhanced outcomes and optimized performance for patients.